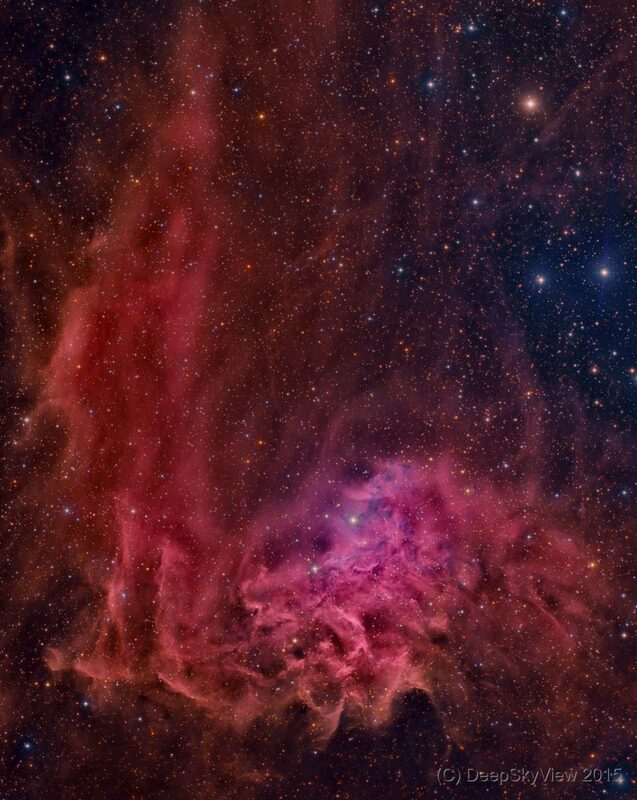 The Flaming Star Nebula (IC405) is illuminated by the bright variable star AE Aurigae. Although it is mostly an emission nebula, the Flaming Star Nebula also has a reflection nebula component which is seen as blue filaments near AE Aurigae. This nebula is estimated to be about 1500 light years away and about 5 light-years across. This is an RGB image with Ha used as luminance. I am not sure that this is the best way of using the data and I will definitely try other options.